Aladdin is an impoverished young ne'er-do-well, dwelling in "one of the cities of China". 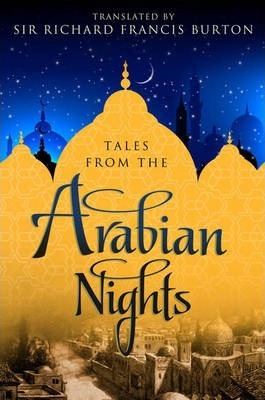 He is recruited by a sorcerer from the Maghreb, who passes himself off as the brother of Aladdin's late father, Mustapha the tailor, convincing Aladdin and his mother of his good will by pretending to set up the lad as a wealthy merchant. The sorcerer's real motive is to persuade young Aladdin to retrieve a wonderful oil lamp from a booby-trapped magic cave. After the sorcerer attempts to double-cross him, Aladdin finds himself trapped in the cave. Fortunately, Aladdin is still wearing a magic ring the sorcerer has lent him. When he rubs his hands in despair, he inadvertently rubs the ring and a jinnÄ« (or "genie") appears who releases him from the cave so that he can return to his mother, fortunately still carrying the lamp. When his mother tries to clean the lamp, so they can sell it to buy food for their supper, a second far more powerful genie appears who is bound to do the bidding of the person holding the lamp. The sorcerer hears of Aladdin's good fortune, and returns; he gets his hands on the lamp by tricking Aladdin's wife (who is unaware of the lamp's importance) by offering to exchange "new lamps for old". He orders the genie of the lamp to take the palace, along with all its contents, to his home in the Maghreb. Fortunately, Aladdin still has the magic ring and is able to summon the lesser genie. The genie of the ring cannot directly undo any of the magic of the genie of the lamp, but he is able to transport Aladdin to the Maghreb where, with the help of the "woman's wiles" of the princess he recovers the lamp and slays the sorcerer, returning the palace to its proper place. A plague infests a village, and a wealthy gentleman's wife lies on her deathbed. She calls for her only daughter, and tells her to remain good and kind, as God would protect her. She then dies and is buried. The child visits her mother's grave every day to grieve and a year goes by. The gentleman marries another woman with two older daughters from a previous marriage. They have beautiful faces and fair skin, but their hearts are cruel and wicked. The stepsisters steal the girl's fine clothes and jewels and force her to wear rags. They banish her into the kitchen, and give her the nickname "Aschenputtel" ("Ashfool", or "Cinderella"). She is forced to do all kinds of hard work from dawn to dusk. The cruel sisters will do nothing but mock her and make her chores harder by creating messes. However, despite all of it, the girl remains good and kind, and will always go to her mother's grave to cry and pray to God that she will see her circumstances improve. One day the gentleman visits a fair, promising his stepdaughters gifts of luxury. The eldest asks for beautiful dresses, while the younger for pearls and diamonds. His own daughter merely begs for the first twig to knock his hat off on the way. The gentleman goes on his way, and acquires presents for his stepdaughters. While passing a forest he gets a hazel twig, and gives it to his daughter. She plants the twig over her mother's grave, waters it with her tears and over the years, it grows into a glowing hazel tree. The girl prays under it three times a day, and a white bird always comes to her. She will tell her wishes to the bird, and every time the bird will throw down to her what she has wished for. The king decides to ordain a festival that will last for three days and invites all the beautiful maidens in the land to attend so that the prince can select one of them for his bride. The two sisters are also invited, but when Aschenputtel begs them to allow her to go with them into the celebration, the stepmother refuses because she has no decent dress nor shoes to wear. When the girl insists, the woman throws a dish of lentils into the ashes for her to pick up, guaranteeing her permission to attend the festival, if she can clean up the lentils in two hours. When the girl accomplishes the task in less than an hour with the help of a flock of white doves that came when she sings a certain chant, the stepmother only redoubles the task and throws down even a greater quantity of lentils. When Aschenputtel is able to accomplish it in a greater speed, not wanting to spoil her daughters' chances, the stepmother hastens away with her husband and daughters to the celebration and leaves the crying stepdaughter behind. The girl retreats to the graveyard and asks to be clothed in silver and gold. The white bird drops a gold and silver gown and silk shoes. She goes to the feast. The prince dances with her all the time, and when sunset comes she asks to leave. The prince escorts her home, but she eludes him and jumps inside the pigeon coop. The father has come home ahead of time and the prince asks him to chop the pigeon coop down, but Aschenputtel has already escaped. The next day, the girl appears in grander apparel. The prince falls in love with her and dances with her for the whole day, and when sunset comes, the prince tries to accompany her home again. However, she climbs a pear tree to escape him. The Prince calls her father who chops down the tree, wondering if it could be Aschenputtel, but Aschenputtel has disappeared. The third day, she appears dressed in the grandest with slippers of gold. Now the prince is determined to keep her, and has the entire stairway smeared with pitch. Aschenputtel loses track of time, and when she runs away one of her golden slippers sticks on that pitch. The prince proclaims that he will marry the maiden whose foot fits the golden slipper. The next morning, the prince goes to Aschenputtel's house and tries the slipper on the eldest stepsister. The sister was advised by her mother to cut off her toes in order to fit the slipper. While riding with the stepsister, the two doves from Heaven tell the Prince that blood drips from her foot. Appalled by her treachery, he goes back again and tries the slipper on the other stepsister. She cuts off part of her heel in order to get her foot in the slipper, and again the prince is fooled. While riding with her to the king's castle, the doves alert him again about the blood on her foot. He comes back to inquire about another girl. The gentleman tells him that they keep a kitchen-maid in the house â€“ omitting to mention that she is his own daughter â€“ and the prince asks him to let her try on the slipper. 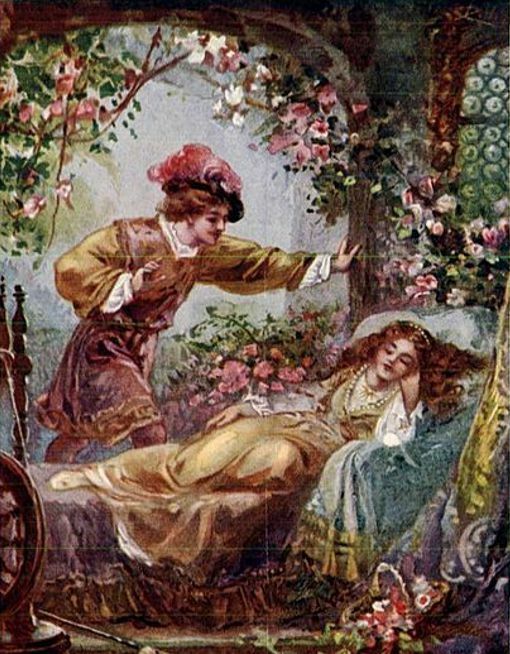 Aschenputtel appears after washing herself, and when she puts on the slipper, the prince recognizes her as the stranger with whom he has danced at the ball. Paris, 1482. The gypsy Esmeralda (born as AgnÃ©s) captures the hearts of many men, including those of Captain Phoebus and Pierre Gringoire, but especially Quasimodo and his guardian Archdeacon Claude Frollo. Frollo is torn between his obsessive lust for Esmeralda and the rules of the Notre Dame Cathedral. He orders Quasimodo to kidnap her, but the hunchback is captured by Phoebus and his guards, who save Esmeralda. Gringoire, who attempted to help Esmeralda but was knocked out by Quasimodo, is about to be hanged by beggars when Esmeralda saves him by agreeing to marry him for four years. The following day, Quasimodo is sentenced to be flogged and turned on the pillory for one hour, followed by another hour's public exposure. He calls for water. Esmeralda, seeing his thirst, approaches the public stocks and offers him a drink of water. It saves him, and she captures his heart. Later, Esmeralda is arrested and charged with the attempted murder of Phoebus, whom Frollo actually attempted to kill in jealousy after seeing him trying to seduce Esmeralda. She is sentenced to death by hanging. As she is being led to the gallows, Quasimodo swings down by the bell rope of Notre-Dame and carries her off to the cathedral under the law of sanctuary, temporarily protecting her from arrest. Frollo later informs Gringoire that the Court of Parliament has voted to remove Esmeralda's right to the sanctuary so she can no longer seek shelter in the Cathedral and will be taken away to be killed. Clopin, the leader of the Gypsies, hears the news from Gringoire and rallies the citizens of Paris to charge the cathedral and rescue Esmeralda. The Little Mermaid dwells in an underwater kingdom with her widowed father (the sea king or Mer-King), her dowager grandmother, and her five older sisters, each of whom had been born one year apart. When a mermaid turns fifteen, she is permitted to swim to the surface for the first time to glimpse the world above, and when the sisters become old enough, each of them visits the upper world one at a time every year. As each returns, the Little Mermaid listens longingly to their various descriptions of the world inhabited by human beings. When the Little Mermaid's turn comes, she rises up to the surface, watches a birthday celebration being held on a ship in honor of a handsome prince, and falls in love with him from a safe distance. A violent storm hits, sinking the boat, and the Little Mermaid saves the prince from drowning. She delivers him unconscious to the shore near a temple. Here, she waits until a young woman from the temple and her ladies in waiting find him. To her dismay, the prince never sees the Little Mermaid or even realizes that it was she who had originally saved his life. The Little Mermaid becomes melancholic and asks her grandmother if humans can live forever. The grandmother explains that humans have a much shorter lifespan than a mermaid's 300 years, but that when mermaids die, they turn to sea foam and cease to exist, while humans have an eternal soul that lives on in heaven. The Little Mermaid, longing for the prince and an eternal soul, visits the Sea Witch in a dangerous part of the ocean. The witch willingly helps her by selling her a potion that gives her legs in exchange for her tongue and beautiful voice, as the Little Mermaid has the most enchanting voice in the world. The witch warns the Little Mermaid that once she becomes a human, she will never be able to return to the sea. Consuming the potion will make her feel as if a sword is being passed through her body, yet when she recovers, she will have two human legs and will be able to dance like no human has ever danced before. However, she will constantly feel as if she is walking on sharp knives, and her feet will bleed terribly. In addition, she will obtain a soul only if she wins the love of the prince and marries him, for then a part of his soul will flow into her. Otherwise, at dawn on the first day after he marries someone else, the Little Mermaid will die with a broken heart and dissolve into sea foam upon the waves. 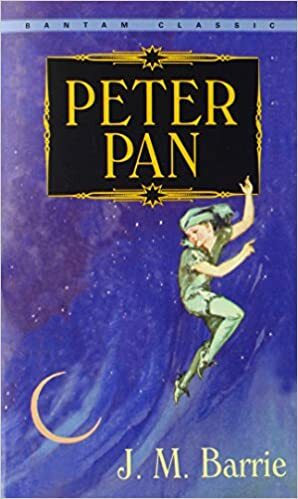 Although the character appeared previously in Barrie's book The Little White Bird, the play and its novelization contain the story of Peter Pan mythos that is best known. The two versions differ in some details of the story, but have much in common. In both versions Peter makes night-time calls on the Darlings' house in Bloomsbury, listening in on Mrs. Mary Darling's bedtime stories by the open window. One night Peter is spotted and, while trying to escape, he loses his shadow. On returning to claim it, Peter wakes Mary's daughter, Wendy Darling. Wendy succeeds in re-attaching his shadow to him, and Peter learns that she knows lots of bedtime stories. He invites her to Neverland to be a mother to his gang, the Lost Boys, children who were lost in Kensington Gardens. Wendy agrees, and her brothers John and Michael go along. In gratitude for his saving Tiger Lily, her tribe guard his home from the next imminent pirate attack. Meanwhile, Wendy begins to fall in love with Peter and asks him what kind of feelings he has for her. Peter says that he is like her faithful son. One day while telling stories to the Lost Boys and her brothers, John and Michael, Wendy recalls her parents and then decides to take them back and return to England. Unfortunately, and unbeknownst to Peter, Wendy and the boys are captured by Captain Hook, who also tries to poison Peter's medicine while the boy is asleep. When Peter awakes, he learns from the fairy Tinker Bell that Wendy has been kidnapped â€“ in an effort to please Wendy, he goes to drink his medicine. Tink does not have time to warn him of the poison, and instead drinks it herself, causing her near death. Tink tells him she could be saved if children believed in fairies. In one of the play's most famous moments, Peter turns to the audience watching the play and begs those who believe in fairies to clap their hands. One day, a prince rides through the forest and hears Rapunzel singing from the tower. Entranced by her ethereal voice, he searches for her and discovers the tower, but is naturally unable to enter it. He returns often, listening to her beautiful singing, and one day sees Dame Gothel visit, and thus learns how to gain access to Rapunzel. When Dame Gothel leaves, he bids Rapunzel let her hair down. When she does so, he climbs up and they fall in love. He eventually asks her to marry him, which she agrees to. Together they plan a means of escape, wherein he will come each night (thus avoiding Dame Gothel who visits her by day), and bring Rapunzel a piece of silk, which she will gradually weave into a ladder. Before the plan can come to fruition, however, she foolishly gives him away. 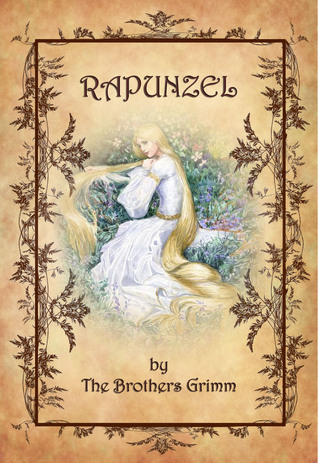 In the first edition of Grimm's Fairy Tales, she innocently says that her dress is getting tight around her waist (indicating pregnancy); in the second edition, she asks Dame Gothel (in a moment of forgetfulness) why it is easier for her to draw up the prince than her. In anger, she cuts off Rapunzel's hair and casts her out into the wilderness to fend for herself. When the prince calls that night, Dame Gothel lets the severed hair down to haul him up. To his horror, he finds himself staring at her instead of Rapunzel, who is nowhere to be found. When she tells him in a jealous rage that he will never see Rapunzel again, he leaps from the tower and lands on some thorns, which blind him. For months, he wanders through the wastelands of the country and eventually comes to the wilderness where Rapunzel now lives with the twins she has given birth to, a boy and a girl. One day, as she sings, he hears her voice again, and they are reunited. When they fall into each other's arms, her tears immediately restore his sight. He leads her and their twins to his kingdom, where they live happily ever after. In some versions of the story, Rapunzel's hair magically grows back after the prince touches it. This gives the queen a great shock. She becomes envious, and from that moment on, her heart turns against Snow White, whom the queen grows to hate increasingly with time. Eventually, the angry queen orders a huntsman to take Snow White into the deepest woods to be killed. As proof that Snow White is dead, the queen demands that he returns with her lungs and liver. The huntsman takes Snow White into the forest. After raising his knife, he finds himself unable to kill her when Snow White finds out about her stepmother's plan, tearfully begging, "Spare me, this mockery of justice! I will run away into the forest, and never come home again!". At this rate, the huntsman reluctantly agrees and lets Snow White go, bringing the queen the heart of a wild animal instead. Meanwhile, the queen asks her mirror once again: "Magic mirror in my hand, who is the fairest in the land?" The mirror replies: "My queen, you are the fairest here so true. But Snow White beyond the mountains at the Seven Dwarfs is a thousand times more beautiful than you". The queen is horrified to learn that the huntsman has betrayed her and that Snow White is still alive. Planning to kill Snow White herself, the queen disguises herself as an old peddler. The queen appears at the dwarfs' cottage and offers Snow White colorful, silky laced bodices and convinces Snow White to take the most beautiful laces as a present. Then the queen laces her up so tightly that Snow White faints, causing the queen to leave her for dead. But the dwarfs return just in time, and Snow White revives when the dwarfs loosen the laces. The queen then consults her magic mirror again, and the mirror reveals Snow White's survival. The queen dresses as a comb seller and convinces Snow White to take a beautiful comb as a present. She brushes Snow White's hair with the poisoned comb and the girl faints again. She is again revived by the dwarfs when they remove the comb from her hair. When the mirror again indicates that Snow White still lives, the queen makes a third and final attempt on Snow White by disguising herself as a farmer's wife, and offering a poisoned apple to her. The girl is at first hesitant to accept it, so the queen cuts the apple in half, eating the white (harmless) half and giving the red poisoned half to Snow White. The girl eagerly takes a bite and falls into a state of suspended animation, causing the Queen to triumph. This time, the dwarfs are unable to revive Snow White. Assuming that she is dead, they place her in a glass casket. 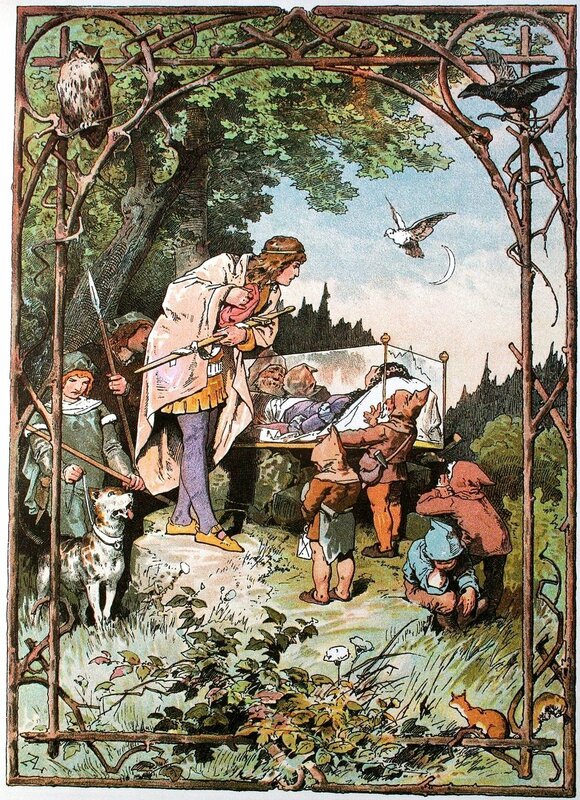 After a short period, a prince was on a hunting trip when he stumbles upon the coffin-contained Snow White. The seven dwarfs succumb to his entreaties to let him have Snow White. The moment he lifts the coffin to carry it away to her proper resting place, the piece of poisoned apple falls from between her lips and Snow White awakens saying "Where am I?" Enchanted by her beauty, the Prince instantly falls in love with her, and then declares his love for her; soon a wedding is planned. Snow White and the prince invite everyone to come to their wedding party, including Snow White's stepmother. In the first English translation of 1847 by Mary Howitt, the tale opens with a beggar woman giving a peasant's wife a barleycorn in exchange for food. After the barleycorn is planted and sprouts, a tiny girl, Thumbelina (Tommelise), emerges from its flower. One night, Thumbelina, asleep in her walnut-shell cradle, is carried off by a toad who wants her as a bride for her son. With the help of friendly fish and a butterfly, Thumbelina escapes the toad and her son, and drifts on a lily pad until captured by a stag beetle who later discards her when his friends reject her company. Thumbelina tries to protect herself from the elements, but when winter comes, she is in desperate straits. She is finally given shelter by an old field mouse and tends her dwelling in gratitude. 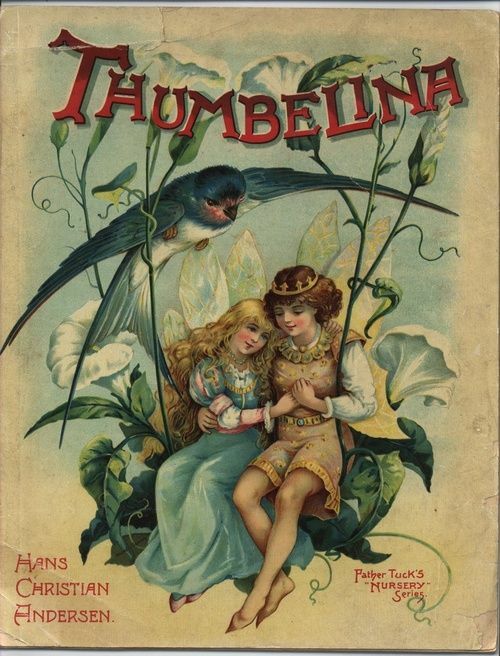 The mouse suggests Thumbelina marry her neighbor, a mole, but Thumbelina finds repulsive the prospect of being married to such a creature because he spends all his days underground and never sees the sun or sky. The field mouse keeps pushing Thumbelina into the marriage, saying the mole is a good match for her, and does not listen to her protests. At the last minute, Thumbelina escapes the situation by fleeing to a far land with a swallow she nursed back to health during the winter. In a sunny field of flowers, Thumbelina meets a tiny flower-fairy prince just her size and to her liking, and they wed. She receives a pair of wings to accompany her husband on his travels from flower to flower, and a new name, Maia.